Couple from Avigayil mobbed, attacked with rocks and sticks by Arabs and anarchists in the course of a morning jog. Another morning, another attack on Jews in the Land of Israel – and this time, Europeans are involved. A married couple from the community of Avigayil, in the southern Mount Hevron area, was attacked Monday morning by a large group of Arabs and European anarchists. They luckily emerged without serious injuries. "We went on a morning jog toward the neighboring community of Maon,” Miri Madan told Arutz Sheva. “Before Maon, I felt bad, It was hot. We wanted to cut toward the main road.” To do this, they had to pass through a dirt road that bypasses a small Arab village. Once Arab villagers spotted the couple, they whistled to each other and began gathering around them. About twenty Arabs accompanied by a group of European anarchists surrounded the two Jews and began to throw rocks at them. Madan noted that the Arabs who surrounded them approached to within a few meters from them, and that they included anarchists armed with cameras. 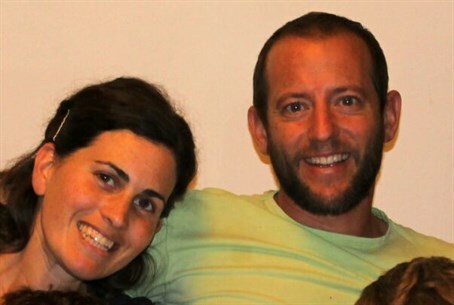 The couple filed a police complaint and an IDF force combed the area in a search for the assailants.